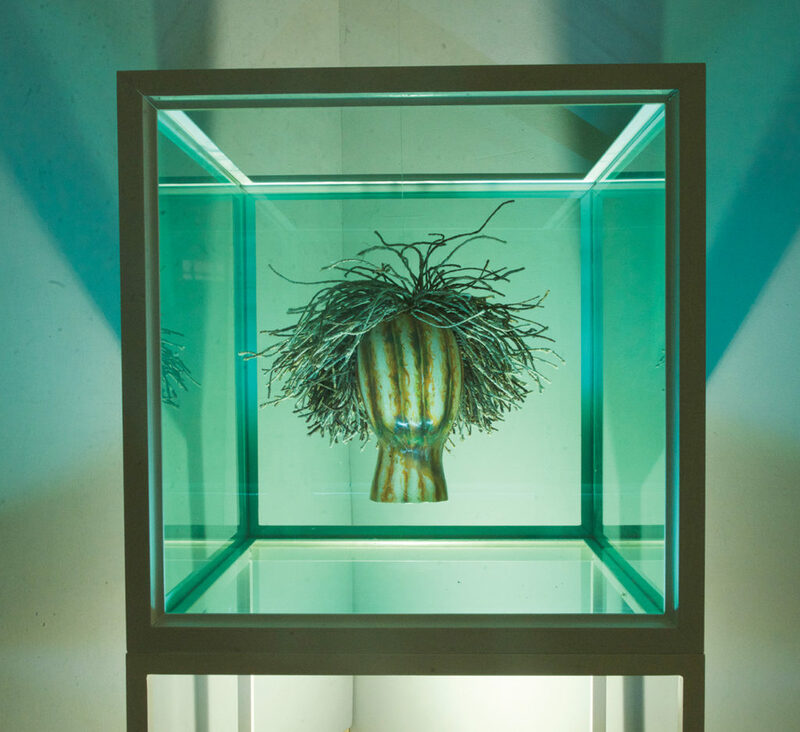 Sinuhe Vega Negrin, Floating Head from the Species Series, 2017, Oil painted fiberglass and wire sculpture, encased in colored plexiglass pedestal with LED light and mechanical movement, LnS Gallery. Click to inquire. April serves as an intermediary month, particularly weather wise. 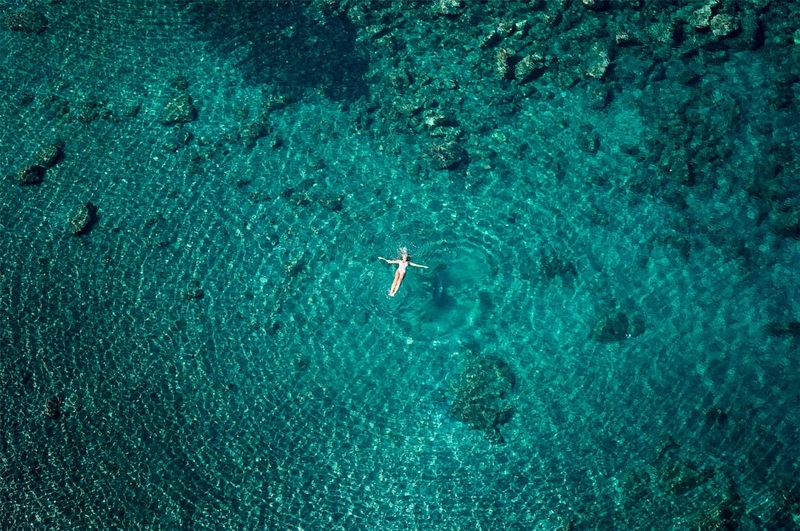 Teasing summer with a select few days of sunshine and incurring fear with random outbursts of rain and snow, this month’s post embodies April’s transitory qualities through visual depictions of floating. Damien Hirst’s formaldehyde-filled tanks of preserved bodies of farm animals are the most iconic floating image. 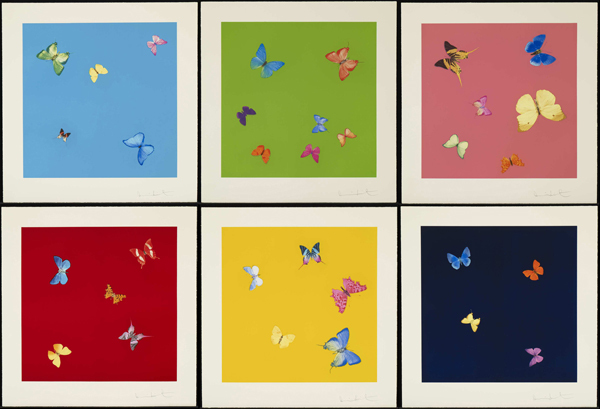 Damien Hirst, Love Poems (A Series of 6), 2014, Photogravure, Rosenbaum Contemporary Gallery. Click to inquire. 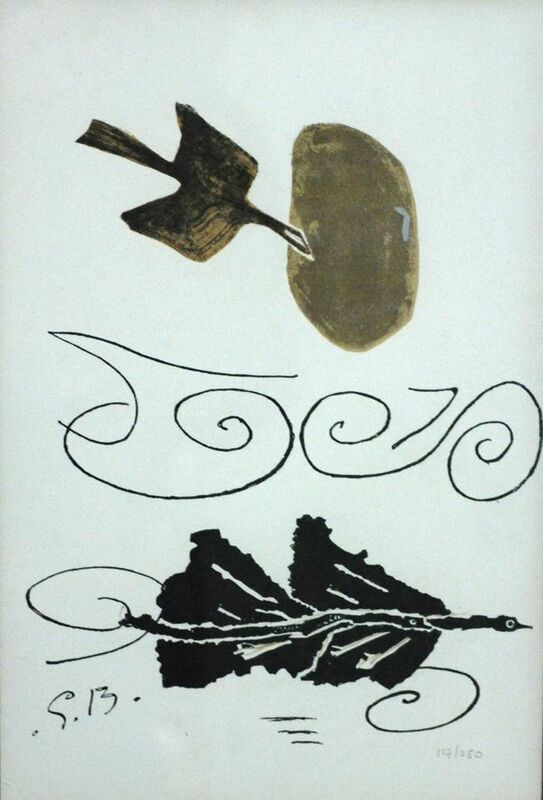 Georges Braque, Nuage en échec, 1963, Color lithograph, Denenberg Fine Arts. Click to inquire. Likewise, modern photographs of Palm Spring’s poolsides capture the fleeting moments of being-somewhat in action, but no where to go. These tense moments of leisure (if there can be such a thing) perhaps denotes modern unease with downtime. FADA’s inventory of floating objects-or depictions of floating people-anticipate the summer months, but also the slight shifts as seasons transition. Johannes Westmark, Floating in Blue II, Oil and acrylic on paper. Arcadia Contemporary. Adolph Gottlieb, Vertical, Oil on canvas, 1971, Casterline | Goodman Gallery. Click to inquire. Just as we float-artists have also been able to free their works from general perspective guidelines-allowing shapes and colors to float amongst the undefined background. FADA’s inventory-showing one suspended from the canvas, or in a body of liquid-exude the trappings of floating-implying one’s next move. 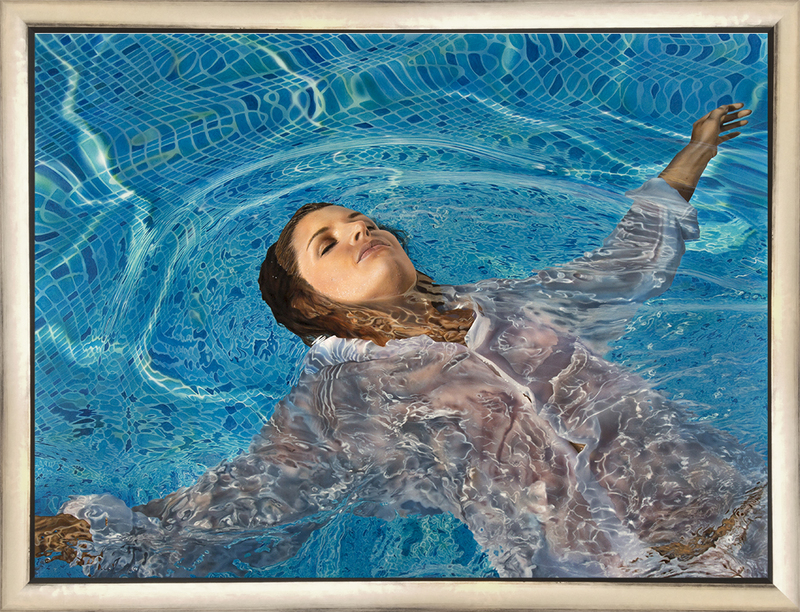 David Drebin, Floating Dreams, C-print, Contessa Gallery. Click to inquire.